Summers are generally fairly slow on Broadway, with many recovering or reveling in the Tony Award results, hot weather and summer tourists; there’s still plenty going on, but not much in the way of news. There have been a couple exciting announcements, which are well worth sharing (thus this entry). If you want to get more frequent updates, follow us on Facebook or Twitter; I’ll post the juicy bits there and do another roundup here before the summer is out. 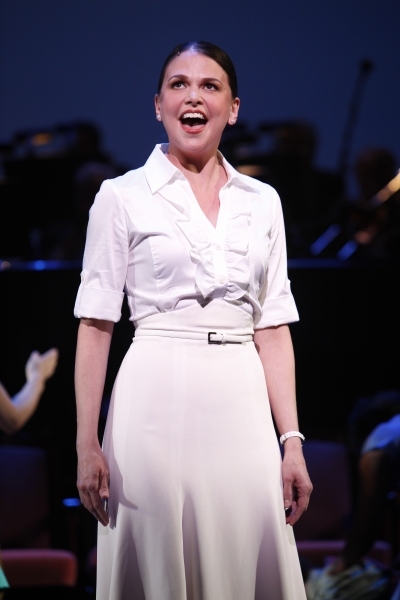 Anything Goes starring Sutton Foster will officially open on Broadway on April 7th at the Stephen Sondheim Theatre. Directed by two-time Tony Award winner Kathleen Marshall, this old-fashioned dance-heavy musical has the Broadway community buzzing. The revival will feature a new book by Timothy Crouse and John Weidman. 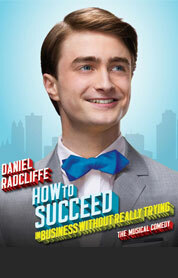 The other big news item is that How to Succeed in Business Without Really Trying will open on Broadway on March 27. The show will star Daniel Radcliffe, who, unless you’ve been hiding under a rock, you know as Harry Potter, and if you’ve been living in a theatre as that kid who got naked last season in Equus. The movie version of this show, starring Robert Morse, continues to be one of my favorites in the genre. Can’t wait to see what Mr. Radcliffe does with the role of Finch. And then we’ve got the Off-Broadway transfers: Bloody Bloody Andrew Jackson announced that it will hit Broadway on September 21 and The Scottsboro Boys that it will open on October 31. We can only hope they enjoy as much success on Broadway as they did off. Two others, Marin Mazzie and Jason Danieley, have also stepped into some big shoes – the real life married couple are now playing Diana and Dan Goodman in Next to Normal on Broadway. Yes, they’re big shoes, but if Twitter buzz counts for anything, it sounds as though the show is in more than capable hands. In sadder news, Come Fly Away has announced that its final performance will be on September 5. This production, though short-lived on Broadway, does have plans to tour the US, so if you didn’t have the chance to see it on the Great White Way, you’ll have other opportunities. 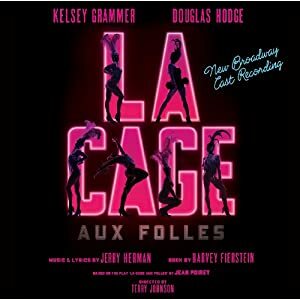 The revival cast of La Cage Aux Folles will be recording their work for their fans. The album will be released sometime in September. Pre-order it on amazon.com now. And I don’t know about you, but I’m loving the newly released albums for Everyday Rapture and Promises, Promises, available online here and here. Trust me – these are albums you won’t regret buying.